10km from Gérardmer, spacious chalet, ideal for families and a couple of friends, accommodating from 2 to 8 people maximum (max 6 adults). Perfect pied-à-terre for a successful holiday in the Hautes-Vosges. the garage (ideal for motorcycle, bicycle, skis ...) and the laundry room. On the ground floor are a large living room: living room (with heat pump + pellet stove) / dining room, a kitchen with direct access to the terrace facing south, a bathroom (with shower and bath), a toilet and a double room. The upper floor has two double bedrooms, and one bedroom with two single beds (ideal for two children). Outside, the cottage is extended with a large terrace where a large table and barbecue await you. A small pond with fish for the admiring eyes of the children is at the front of the cottage. A swing is also in the garden. 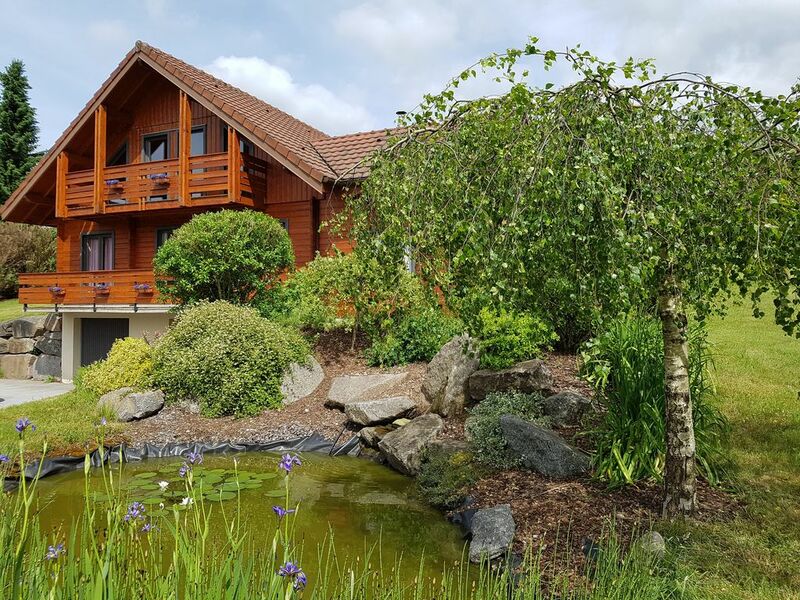 Located in the countryside, 10 minutes from Gerardmer and 15 minutes from Remiremont TGV station. The cottage is located 5 minutes walk from the village center and shops (bakery / grocery / tobacco shop, butcher shop). Linens (mattress covers, duvets, pillows, blankets, tea towels) are at your disposal, but we do not provide sheets or towels. However the rental of linen is possible if it is requested before arrival at the cottage. Do not hesitate: discover our beautiful region and the Vosges mountains!